This week, I would like to discuss the benefits of a including an evening event during an off site retreat, in particular, the ACE Game Show. One of the founders of experiential and adventure eduction, Karl Rohnke coined the term FUNN which stands for Functional Understanding Not Necessary. Basically, if an activity is fun, there does not need to be any other valid reason to do it. You don't need to analyse and justify the underlying value of the endeavour, if its' fun...just do it. Having said that there are some good reasons to include an enjoyable experience, such as a Game Show into a conference dinner. Colleagues may spend years in the same company without interacting or getting to know each other. By giving people a common objective (winning the Game Show), people are relying on each other for their success. The Game Show has been designed to encourage interaction between team members. 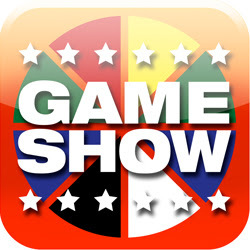 The questions, rounds and activities that comprise the Game Show rely on knowledge from different eras. For example, a music round, called Then Again requires teams to identify the original musical artist and an artist that has covered the same song. Depending on the age of the delegates, it is common for people to be able to identify one of the artists, but they must use other people in their team to identify the other performer. 'Still waters run deep' and it's not until people are given the opportunity to shine, that you realise that they have hidden skills and abilities, such as the ability to play air guitar or the ability to balance six dice on an icy pole stick that is clenched between the participant's teeth. The Game Show extends throughout dinner, usually over 3 - 4 hours and culminates in a finale round and the crowning of the champions. There is a good variety of music, movies, games and activities. People want to win, but nobody seems to mind if they lose. The enjoyment is being involved in the event, and not knowing what is going to happen next. These are just four reasons to include an ACE Game Show in your next conference, but you don't need a reason, because it is fun, and any activity that is fun does not need a reason..just do it.